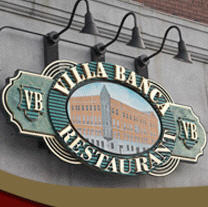 Villa Banca $15 Sunday Feast! Amazing! Meet up with Meetcha singles and enjoy a 3-course delicious Italian dinner for just $15 (appetizer, entrée, dessert)! Enjoy a fresh taste of Italy in downtown Nashua. Yum! RSVP now as space is limited. "Feast" $15. Full menu also available.